Best washer and dryer repair in town! Customer satisfaction guaranteed! We do professional washer and dryer repair. Our company specialized in repairing all brands and models of washers and dryers. Oregon Appliance repair technicians are factory trained and certified by all the major brands. For example Asko, Avanti, Bosch, Certified Appliance, Curtis, Dacor, Danby, Electrolux, Fisher & Paykel, Frigidare, GE, LG, Kenmore, KitchenAid, Maytag, Miele, Samsung, Siemens, Speed Queen and Whirlpool. We will quickly determine what is wrong with your washer or dryer. The next step will probably be ordering parts or sometimes just a small tune up. Whatever the extent of work you need, we will be able to do it for you. Our customers are always satisfied with the work we do. You can be sure that your laundry appliances are in good hands. We all know that a washer and a dryer is the essential part of any household. When those appliances break your laundry piles up, and you need professional help. Your washer might be leaning, smelling bad, not washing the laundry well. You dryer may not be getting hot enough or may be stuffed with lint. Whatever it is, our team of highly skilled washer and dryer repair professionals is here to help. We have flexible scheduling and same day appointments in necessary. Besides knowing everything, there is to know about a washer and dryer repair our company also offers you some great customer service. Our techs are always polite, friendly and helpful. 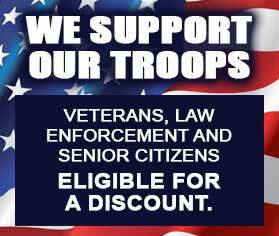 They will go out of their way to provide you the best service possible. You get a FREE and accurate estimate before any job and FREE service call with repair. When it comes to washer and dryer repair in Bend, Oregan we are number one. All you have to do is give us a call at 541-948-8835 or fill out our short contact form, and we will set up a convenient appointment for you. Our technician will review all of your information and will make sure to pack all the tools, parts and equipment necessary to repair your washer or dryer. He will be right on time and ready to start working. Our experienced tech will thoroughly evaluate your appliances. Once this is done, he will give you an estimate on parts and labor. We try to keep our estimates as accurate as possible, and you can be sure that our prices are the best. 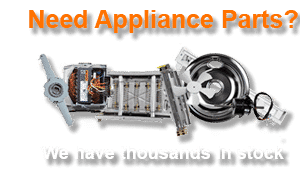 Oregon Appliance Repair will be able to get any part that you might need. We even do European brands and luxury brands. Our special relationship with suppliers in your area that enables us to get the best price on the best quality parts. Once the parts are delivered to us, we will set you up with another appointment. Our technician will professionally install parts and will troubleshoot until everything is functioning. He will make sure to clean up after himself and to test the washer and dryer well before handing it over to you. We very detail oriented and do the project right the first time. Our customers get the best professional service possible. They can be sure that they will not need any washer and dryer repair anytime soon. 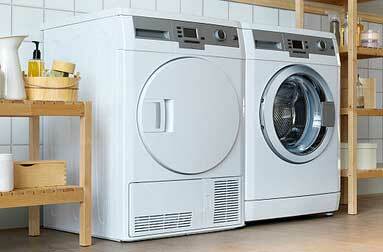 We have more than 30 years of experience doing washer and dryer repair. Our technicians are ready to handle any problem, and they have all the tools and equipment necessary. We work on all brands of washer and dryers both new and older models. Also, we can always find you the right parts and get it for you in a matter of days. Our technicians work fast, but they are very detail oriented so you can be sure that your appliance will be good for a long time. We make sure that you are totally satisfied with our work and that your repair experience is easy and convenient. To schedule an appointment for washer and dryer repair, please call us at 541-948-8835 or fill out our short contact form. We will be happy to set up a convenient appliance repair appointment for you. Our friendly and highly skilled licensed technicians will soon be on their way to repair your appliances. If you need kitchen appliance repair or commercial appliance repair we can help you as well. Our service area includes Bend, Oregon as well as Deschutes River Woods, Redmond, Three Rivers, Sisters, Terrebonne, Terrebonne, and Prineville. We do professional washer and dryer repair. Our company specialized in repairing all brands and models of washers and dryers. Oregon Appliance repair technicians are factory trained and certified by all the major brands.